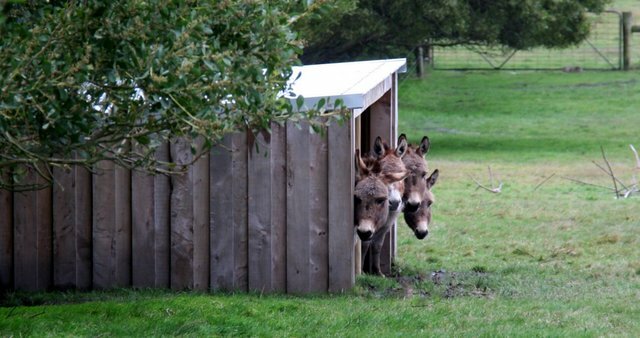 A miniature donkey is a donkey measuring 36″ and under at the wither. Miniature Mediterranean Donkey is the name given by the ADMS (American Donkey And Mule Society) to a donkey which measures 36” and under at the wither. The name Mediterranean is used as these donkeys originate from the little donkey discovered on the islands of Sicily and Sardinia and which were imported into America in 1929. These donkeys have been bred with other types of donkeys in America and are now called Miniature Mediterranean. American Miniature Mediterranean Donkey is the name given by DABSA (Donkey All Breed Society of Australia) and the Donkey and Mule Society of New Zealand, to all Miniature Mediterranean Donkeys imported from America into Australia and New Zealand and their direct offspring. To own a miniature donkey one needs basic equine knowledge. All this given will ensure a happy healthy donkey that will give you unconditional returns of affection.